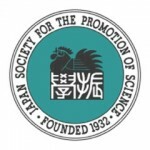 The Ethnographies of Technoscience Group (ETG) is an ongoing project started up by Atsuro Morita and Gergely Mohacsi, with initial support from the Japan Society for the Promotion of Science (JSPS) since 2011. It fosters various forms of research collaboration at the intersection of anthropology and science studies including a workshop, international symposiums, special issues in academic journals and conference panels. In his way, we aim to (1) offer a forum for researchers and practitioners who share an interest in the increasingly complex ways scientific, technological, human and nonhuman values hang together in our world; and (2) create a medium for the cross-fertilization of ideas and methods that address such complexities. 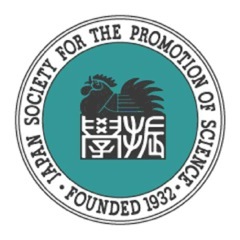 The thematic focus of these collaborations is technoscience: a response to the increasing need of dealing with issues of scientific knowledge and technological innovation in a hybrid mode of inquiry and an attempt to mobilize the conceptual possibilities of the Japanese term kagakugijutsu, which starts from such hybridity in the first place. In other words, technoscience here becomes an opportunity for reassembling the ethnographic method in a way that is not only appropriate for exploring the multiple realities of the contemporary world, but also encourages us to challenge those realities. The various ways of knowing our place in the world have been a longstanding concern for anthropologists who have been exploring the cosmological and ritual aspects of human life in faraway places. Interestingly however, such “faraway places” are becoming closer, while what we once thought of as “home” is becoming as exotic as any Amazonian rainforest or Pacific island. Human values are under constant negotiation and reordering through technoscientific interventions on the Internet, in hospitals or the subway system under Tokyo. From the molecular structure of anti-malaria vaccines to satellites that fall from the sky, experiments are not limited to laboratories, but are increasingly part and parcel of the cultural and political worlds we, humans, inhabit. The following set of methodological and research concerns are designed to deal with these issues. The list is not intended to be complete, but rather a source for further exploration and experimentation. If you would like to get involved in or contribute to this project and receive information in the future, please register here.